What Are Non-Steroidal Anti-Inflammatory Drugs? 1 What Are Non-Steroidal Anti-Inflammatory Drugs? All drugs are classified in terms of either their active ingredients or how they are used to treat a particular condition. Moreover, a specific drug may fall into one or more of these specific drug classes. Non-steroidal anti-inflammatory drugs (NSAIDs) are a class of drugs that all have similar analgesic, antipyretic, and anti-inflammatory properties. Though the individual drugs that fall within this class of medications differ in chemical structure, they are grouped together in this class due to their action of blocking the enzyme cyclo-oxygenase (COX). By blocking this enzyme, NSAIDs act to inhibit the production of thromboxanes and prostaglandins, which are both products of the inflammatory response. There are two types of COX enzymes that exist, both of which play a key role in inflammation, fever, and pain. COX-1 enzymes are located in nearly every type of tissue within the body, including the stomach and platelets. The COX-1 enzymes, in particular, are responsible for regulating the production of prostaglandins. COX-2 enzymes are generally found within inflammatory cells, once they become activated. Though the precise mechanism of action behind the analgesic, antipyretic, and anti-inflammatory properties of NSAIDs is not fully understood, it is believed that these benefits can be accounted for in part by blocking COX enzymes and, thereby, reducing the amount of prostaglandins within the body. In addition to their role in inflammation and pain, COX enzymes are involved in other key functions within the body. In particular, COX enzymes help protect the lining of the stomach from the acid of its own digestive fluids. So while NSAIDs can provide patients with significant relief from symptoms of inflammation, fever, and pain, taking these types of medication can also leave the stomach vulnerable to damage, including ulcers and bleeding. A newer type of NSAID available is known as the COX-2 inhibitor. COX-2 inhibitors provide the anti-inflammatory effects of blocking the COX-2 enzyme, but do not affect the COX-1 enzyme, reducing the risk of stomach or intestinal damage. COX-2 inhibitors are ideal for patients who are considered to be at an elevated risk for developing stomach or intestinal problems; however, COX-2 inhibitors can increase the risk for damage to the heart, and thus, are not ideal for patients with problems with circulation or other types of heart conditions. There are many factors to consider when taking NSAIDs. While these medications are regarded as generally safe and many are even available over-the-counter, there is some risk of side effects. Potential gastrointestinal side effects: As noted above, taking NSAIDs can lead to potential damage to the stomach lining, including stomach ulcers, bleeding, or indigestion. Some individuals are believed to be at greater risk for these complications, including: elderly adults (i.e., 65 years of age or older); patients who are taking other prescription or non-prescription medication at the same time; heavy smokers; patients with a known history of gastrointestinal complications; patients taking NSAIDs for extended periods of time; patients taking high doses of NSAIDs; and patients who suffer from other conditions, such as diabetes, cardiovascular disease, or hypertension. Potential cardiovascular and renal side effects: Taking NSAIDs can also lead to potential damage to blood vessels, the kidneys, or the heart. Some individuals are believed to be at greater risk for these complications, including: elderly adults (i.e., 65 years of age or older); patients with a known history of hypertension (i.e., high blood pressure); patients with heart or kidney failure; and patients with damage to their heart or kidneys. Potential risks during pregnancy: It is generally recommended that women who are pregnant or may become pregnant avoid taking NSAIDs, due to the potential risk to both the pregnant mother and her baby. 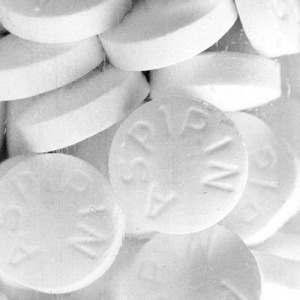 While risk for the baby is generally low during the first and second trimester, taking NSAIDs during the third trimester increases the risk of the baby developing problems with pulmonary hypertension. Moreover, there has been some suggestion that taking NSAIDs can cause problems with fertility. As such, it is recommended that individuals refrain from taking NSAIDs when trying to conceive. Potential pulmonary side effects: Taking NSAIDs may exacerbate symptoms of asthma in some patients. It is recommended that patients who suffer from asthma symptoms talk to their doctor before taking these types of medication. The following list is not meant to be exhaustive. 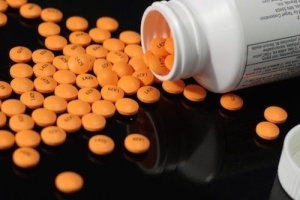 Though NSAIDs are generally regarded as safe, they can be associated with some side effects. NSAIDs are a class of medication that provide analgesic, antipyretic, and anti-inflammatory effects on the body through their action on COX enzymes. These medications are available over-the-counter or by prescription and can be used to treat a wide variety of pain conditions. 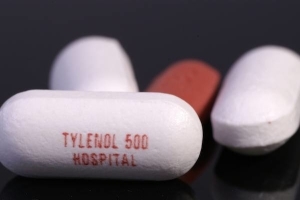 Though NSAIDs are generally regarded as safe, they can be associated with side effects. In particular, individuals who are older or who suffer from asthma, high blood pressure, gastrointestinal complications, or other cardiac problems should speak with their doctor before taking these medications. Brune K, Hinz B. The discovery and development of antiinflammatory drugs. Arthritis Rheum. 2004;50(8):2391–9. American Society of Anesthesiologists Task Force on Acute Pain Management. Practice guidelines for acute pain management in the perioperative setting: An updated report by the American Society of Anesthesiologists Task Force on Acute Pain Management. Anesthesiology. 2012;116(2):248–73. American Society of Anesthesiologists Task Force on Chronic Pain Management. American Society of Regional Anesthesia and Pain Medicine Practice guidelines for chronic pain management: An updated report by the American Society of Anesthesiologists Task Force on Chronic Pain Management and the American Society of Regional Anesthesia and Pain Medicine. Anesthesiology. 2010;112(4):810–33. Conaghan PG. A turbulent decade for NSAIDs: update on current concepts of classification, epidemiology, comparative efficacy, and toxicity. Rheumatol Int. 2012;32(6):1491–502. Patrignani P, Tacconelli S, Bruno A, Sostres C, Lanas A. Managing the adverse effects of nonsteroidal anti-inflammatory drugs. Expert Rev Clin Pharmacol. 2011;4(5):605–21.